Whether it's ideas or products, in our business or for someone else, we all need to be able to sell. This book guides us through invaluable tips from John Hoerner, who has over 50 years' experience as a retailer. Divided into chapters covering all aspects of retail, John's wisdom is summarised in short incisive quotes, including: advice on handling customers, stores, buyers, suppliers, stock management, marketing and PR, strategy, investment and people. 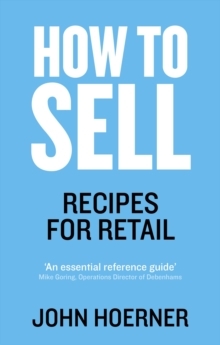 How To Sell is an authoritative guide to becoming the best retailer you can be.